The third edition of The Tobacco Atlas was unveiled at the LiveSTRONG Global Cancer Summit in Dublin, Ireland on Tuesday this week. 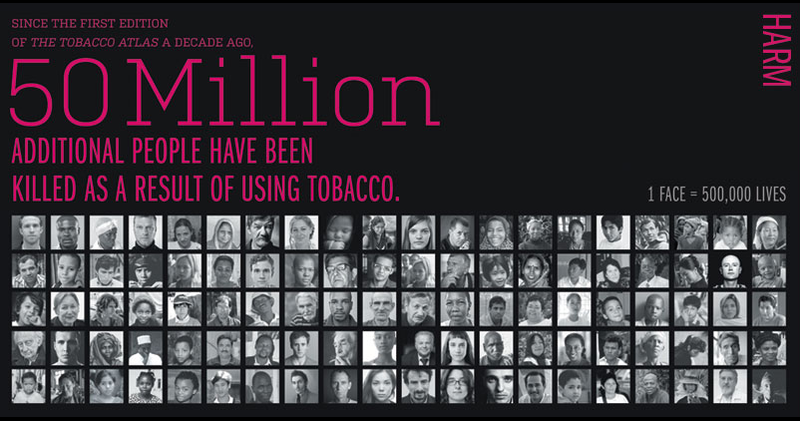 The atlas, published by the American Cancer Society and World Lung Foundation, displays how tobacco impacts global health and economies and tracks the progress and outcomes of tobacco control. Tobacco use will kill nearly 6 million people next year from cancer, heart disease, emphysema and a range of other ills, global cancer experts said in the report, and estimated costs to the global economy of $500 billion a year in direct medical expenses, lost productivity and environmental harm. Tobacco accounts for one out of every 10 deaths worldwide and will claim 5.5 million lives this year alone, the report said. If current trends hold, by 2020, the number will grow to an estimated 7 million and top 8 million by 2030. 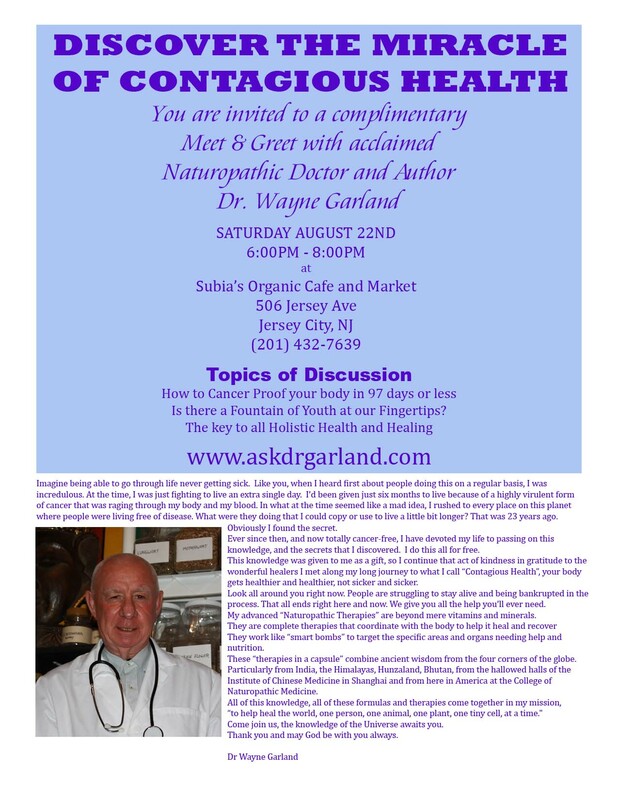 Join me August 22nd for my first live speech in the Tri-State area in over 10 years. With special thanks to Lisa DeCrescente, President of the NY Art Group, I will be speaking in Jersey City on Saturday, August 22nd from 6-8pm at Subia’s Organic Cafe and Market, 503 Jersey Avenue, Jersey City, NJ. 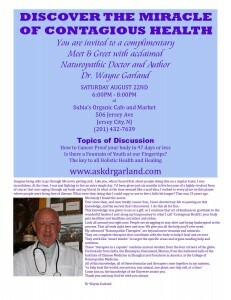 Click on the picture for the invitation and post a comment below or email me if you intend to come. The new Epidemic – Diabesity – Obesity triggered Diabetes. 40% of our nation’s kids are either “at risk” or “overweight”, a 10-fold change from when I was a child. And it is not because of genetic changes. It is due to environmental changes. Today, kids are considerably less active and eat mostly highly-processed foods instead of home-grown fruits and vegetables. Children are being diagnosed with Type-2 Diabetes, also referred to as “adult-onset” diabetes, setting them up for a life long battle with heart disease, kidney and nerve damage, potential blindness and more. As debate continues at the highest political levels about how best to deal with an exploding obesity problem in our young, alarmed specialists are already grappling with its medical effects.